Are there unknown risks in your supply chain? Business is not done in silos. Partnerships fuel business growth and vendors are naturally a part of that expansion. Questionnaires frequently flow down to third parties from customers and umbrella organizations, and standardization is necessary especially at scale in order to identify unknown risks. 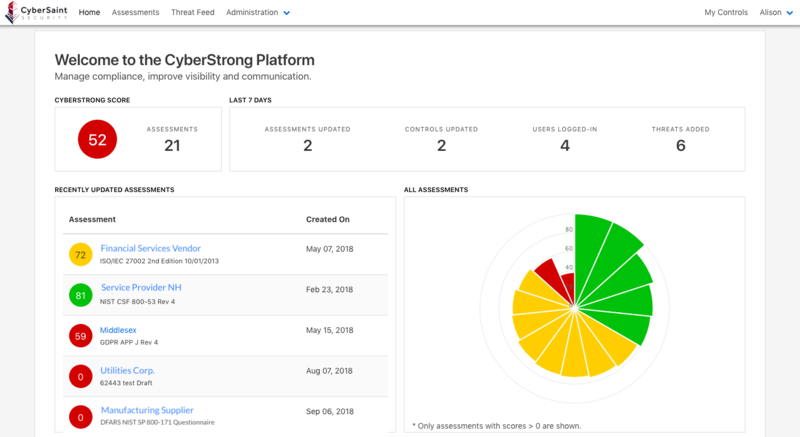 CyberStrong automates risk and control assessments, remediation tracking, and reporting of third parties. Custom control sets can be tasked out to vendors, and CyberStrong provides infinite scale for even the largest supply chain. Minimize the unforeseen risks in your supply chain and forge partnerships from a place of strength. Here are just some of CyberStrong's IT VRM capabilities. Get up and running in hours, not weeks or months on a clear and optimized path forward. Expedite time-to-value and experience immediate ROSI with lighting-quick implementation that helps you focus your efforts for greatest impact. Manage your entire cyber program from a single and centralized hub. Merge fragmented efforts and fine-tune performance to bring discordant tools and processes into harmony. Measure what matters using customized metrics aligned and tailored to your business goals. Monitor performance, track progress, and analyze results. Make cybersecurity easy for any team member to get around with a seamlessly intuitive interface. Deliver a human-friendly experience for cybersecurity know-it-all's and non-security professionals alike. Ensure everyone knows what to do, and how to do it, by simplifying the complexity of compliance language. 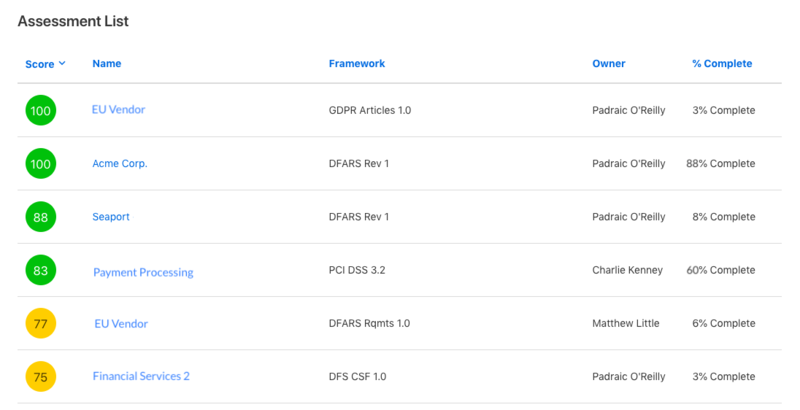 Distill complicated control language into actionable next steps without unnecessary jargon, or opt for the standard compliance guidance and supplementals. Share your cybersecurity posture that is backed by data and easy for anyone to instantly understand with custom dashboards and on-demand access to the most important reports. 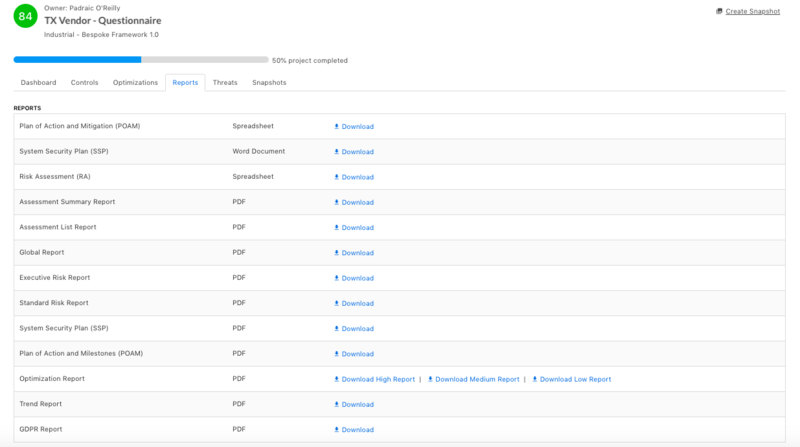 Generate key reports for executive teams, boards, auditors, external partners and parties, for greater transparency and access to what matters most. Download the VRM Buying Guide. 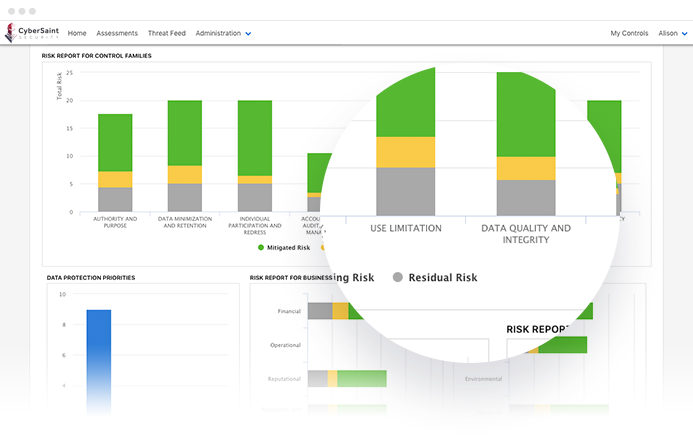 Know the critical capabilities to look for in a vendor risk and compliance management solution.